Since 1978, the owner of Ajit Hi-tech Photo has been learning everything there is to know about capturing weddings. 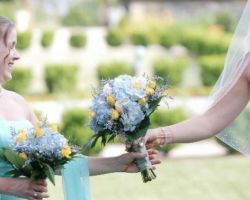 Using a style that is personalized to the couple, this company creates totally one-of-a-kind wedding films for their clients using top of the line photography and videography equipment. This means that you will have a film that represents you but also one that is of the highest quality possible. Allow this expert to film your wedding and you will not be disappointed. Crown Street Productions is one of those companies that does their best to not interfere with the happenings of your wedding day to get the shots they want, but rather act as if they are part of the celebration to capture the day as honestly as it happens. This means that in the film, you will see the your day as it happened and be able to remember it from beginning to end. You are sure to love your wedding film when this company makes it. JL Productions Weddings does not vary the quality of services they offer based on how much you pay, but rather offer each and every once of their clients the best work they possibly can. This attitude and dedication to their clients has made this company famous among couples in New York. When you work with this company, you will be able to see for yourself the quality of video these professionals produce, the clean editing and their artistic style from the first consultation. There are few companies that offer the combination of high quality services as well as personalization and artistry that is offered by NY Heaven Photo & Video Studios. This company listens to what their clients want to see in their final film and take that into consideration throughout the process. Reviews of the company and of wedding videographers in particular are nothing less than raving, so you know that your event will be captured and edited into a gorgeous film. Who better to capture your wedding than those who understands the love between partners? J Castillo Films is operated by a husband and wife team of wedding videographers in Long Island, NY that is completely dedicated to telling your love story in an artistic and timeless fashion. This is a boutique style company which means that they give couples personalized services throughout the filming and editing processes. From your first time speaking with the artists to when they hand you the final film, you will feel completely taken care of. If you would like to have footage from your big day in a style that you love, then working with Madison Ave Photography Studio ensures just that. This company is flexible and thus adjusts their style of shooting to fit the needs of the couple and their event. For affordable rates, you can book these professionals to capture your wedding day in a way that is personalized. With a list of moments they can capture, you will have all of the choices you need. Wedding Videography does not have to take up the majority of your budget when you hire Secret Fire Media. This company offers a standard package of services, which includes one videographer for eight hours of coverage, a full length professionally edited film and highlight reel, for the price of just $1,000. If you opt for a different package, then you will pay slightly more for an additional videographer as well as more time being covered, a longer edited film and multiple copies of the DVDs. Lesean Rowe founded LJR Films in 2012 and the company has only grown since then. This Long Island wedding videographer is focused on capturing, editing and producing wedding films for clients that they will love to watch over and over again. In order to give his clients the highest quality work possible, this expert uses Canon cameras and lenses and then uses the latest Windows technology in the editing process. You will be wowed by the quality of the film as well as the artistry. Mike Burns is the owner and primary wedding videographer at Infinite Video Productions. Mike and his company offer to capture the weddings of clients beautifully as well as give them a personalized experience from the first consultation to the seeing the final edited film. This videographer has an editing style that is timeless and artistic but also flexible as Mike is willing to adapt his style to the desires of his clients. This not only means he is flexible in style but also in length of the film and more.